Oct 20, 2015 Dipped Yellowtail with Rice. 2330, この頃床に入る。Konokoro toko ni hairu. Go to bed. 0604, 139/100-61, Re rap a cuff by high pressure. Chousyoku. Gohan 100 grum. Enokidake no sumashi jiru. Hiya yakko. Iwashi no nuka daki. Ninjin to Celery no Nukaduke. Protein funmatsu 30g. BF. Rice 100g. Soy sauce soup of Velvet shank. Cold tofu. 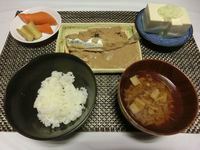 Simmered Sardine by Nuka. Nuke pickles of Carrot and Celery. Protein powder 30g. Chuusyoku. 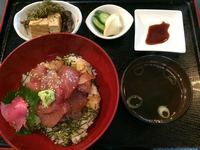 Buri no duke don. Sumashi jiru. Tuke mono. Nimono. Lunch. Dipped Yellowtail with Rice. Soy sauce soup. Pickles. Simmered meal. Yuusyoku. Beer 1400cc. 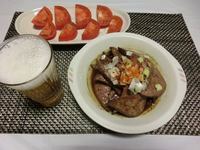 Liver no Itamemono. Tomato. Kuro syouyu no Ramen. Protein funmatsu. Dinner. Beer 1400cc. Stay fryer of Liver. Tomato. 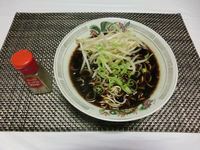 Ramen of Black soy sauce. Protein powder. >>> Next：Oct 21, 2015 Quoter pounder cheese.